Despite the average world surface air temperature topping the charts for the last four years, the US commander-in-chief appears to still have an issue separating everyday weather from climate. With not a thought or prayer thought given to those preparing for the brunt of the polar vortex — which is forecast to bring temperatures as low as minus 60 degrees Fahrenheit — US President Donald Trump turned to Twitter Monday night in an attempt to use the perilous weather to his advance future policies rebuking climate change. 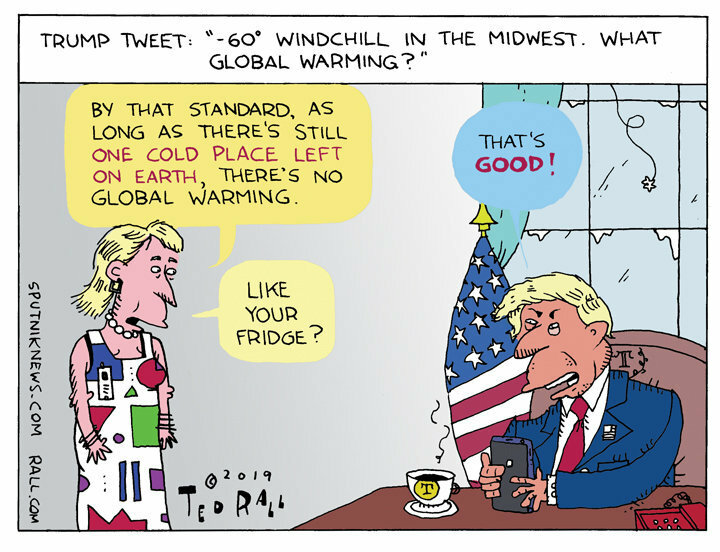 Though his spelling of "global warming" is definitely a new one, the style of this tweet is not new, as Trump tweeted a similar climate change dig January 20. 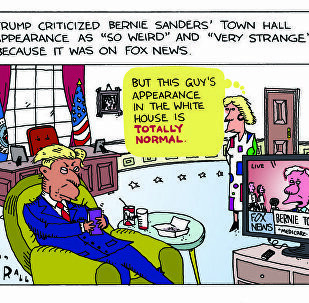 However, in that particular instance, the president at least appeared to be sincere with a quick "be careful and try staying in your house."